← Huge Savings on Dynamics Plug-ins during our great ‘Dynamics Crunch Month’ ! We’re proud to announce the availability of three incredible new products from AudioSourceRE (DeMIX Pro, DeMIX Essentials, and RePAN); expert yet easy tools for vocal isolation and music separation. On Promo at 40% Off until April 30th! Check Out AudioSourceRE’s products here ! Introductory Promo: 40% Off Until April 30th ! AudioSourceRE is the culmination of over 18 years of research into sound separation by Dr. Derry Fitzgerald. 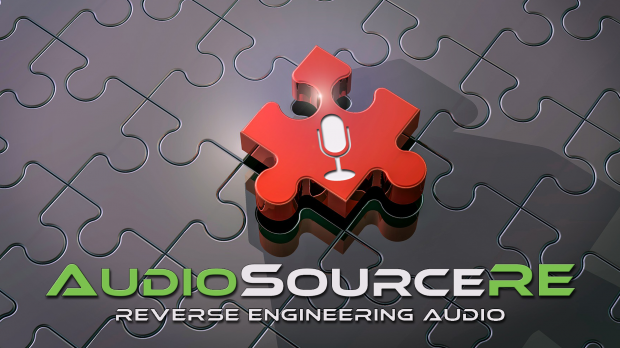 AudioSourceRE’s vision is to become the leading developer of high-quality music de-mixing software for music production, post-production studios, DJ’s, producers, artists, and musicians. DeMIX Pro delivers unmatched flexibility over other audio separators by offering unlimited, non-destructive track separations, convenient merge tracks functions, a built-in multichannel mixer and its ability to provide the separated vocal and its associated reverb on individual tracks for total vocal control. Separate and Isolate vocals, drums and other instruments using automated and user-definable separation options. Refine your separations using intelligent spectral editing tools to create countless high-quality individual track separations for remixing, up-mixing, re-mastering, and post-production applications. Manipulate audio mixes like never before. DeMIX Essentials offers advanced sound isolation algorithms combined with an intuitive workflow. Quickly separate vocals, drums, and other instruments easily. Explore new possibilities for remixing, sampling, or a-cappella and backing track creation. Mute the lead vocal, solo instrument or drums to play along with your favorite artists or study the nuances of their separated performances. A must-have for DJs, music producers, remix artists, musicians and educators looking to isolate voice and drums, create backing tracks and samples, as well as make quick remixes from existing audio. 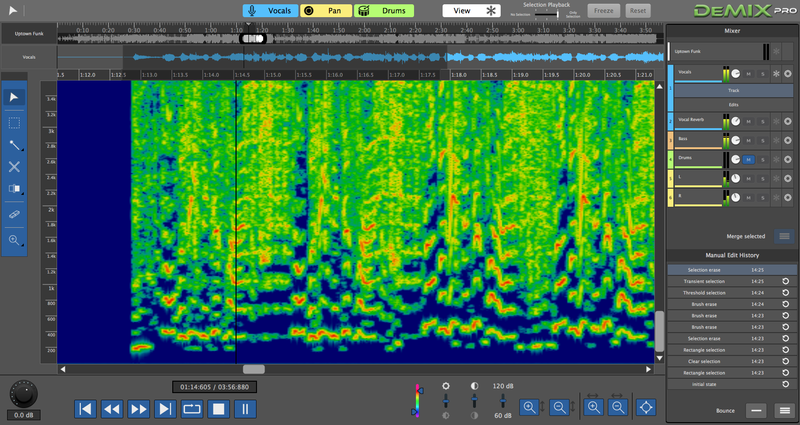 RePAN offers real-time panning-based separation of stereo mixes, using AudioSourceRE’s cutting edge Digital Signal Processing techniques. 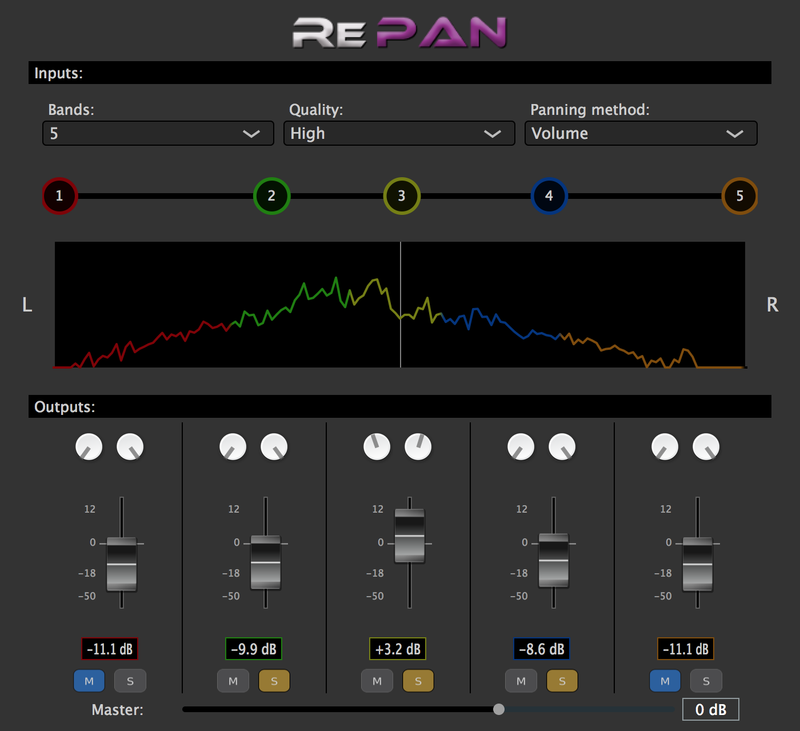 RePAN allows the user to adjust, rebalance and essentially, equalize the stereo field in a way not previously possible. RePAN analyzes the stereo field then separates it into a number of spatial bands allowing the user to change the volume and pan positions of each spatial band independently within a stereo mix in real-time. This user-controllable multi-source separation plug-in allows you to control how you want to hear the music mix, on the fly. Ideal for DJs, mash-up enthusiasts, as well as mixing and mastering engineers who want to gently tweak a mix without requiring the original stems. This entry was posted in Audio Software, DontCrack, Plug-ins, Promotions and tagged audio separation, AudioSourceRE, DeMIX Essentials, DeMIX Pro, Drums, Music, RePAN, Separation, Vocals. Bookmark the permalink.